Between 1980 and 1982, Newman released a brace of solo albums which continued to push several envelopes. Newman’s 3rd album Not To (1982) is probably the finest of them all. Now, for the first time, the album has been completely remastered and augmented with a whole additional disc of unreleased tracks. 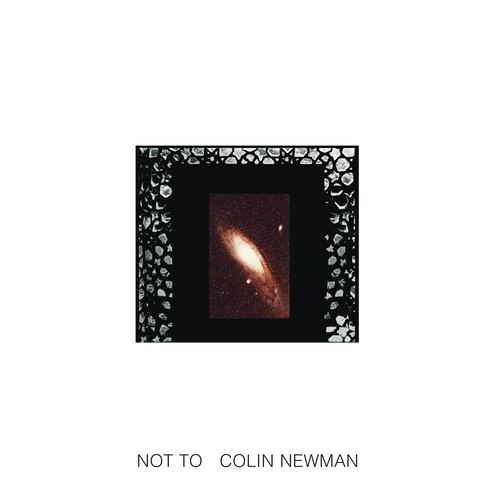 Not To sees Newman developing his distinctive art-rock in a more melodic pop direction. Songs such as the gorgeous ‘Lorries’ with its chiming Byrds-like guitars and serpentine bass line, or the reflective ‘Remove For Improvement’, contribute to an album with a strong psychedelic sensibility - complete with an unexpected Beatles cover – a deeply woozy take on George Harrison’s ‘Blue Jay Way’. The additional disc presents the luminous single ‘We Means We Starts’ alongside 21 previously unreleased songs, which essentially constitute the demos for what would have been Newman’s fourth solo album. And it turns out it would have included some absolute gems. ‘But Either Way’ wouldn’t have sounded out of place on Wire’s 154, whilst the fizzingly optimistic ‘You Must Decide’ is up there with Newman’s finest songs. Some of the demos also feature early sequencer work which point towards both Wire’s mid-80s incarnation and the ideas Newman would develop in his later solo work. Another treat is an early incarnation of the Not To track ‘1, 2, 3, Beep Beep’. Far superior to the quirky album cut, here it comes across as much more intense, yet also far more melodic. What shines out from both Not To itself and these demo recordings is an abundance of ideas and approaches, showing an artist with an ever evolving creative drive. Not To CD 1 Music performed by DESMOND SIMMONS, ROBERT GREY, SIMON GILLHAM, COLIN NEWMAN and BRUCE GILBERT (guitar, track 10). Produced by COLIN NEWMAN. Engineered by STEVE PARKER. Recorded and mixed at Scorpio Sound (London). Cover by ANNETTE GREEN. Text tracks 3, 5 and 7 GRAHAM LEWIS; track 11 BRUCE GILBERT; all other tracks COLIN NEWMAN. Not To CD 2 Tracks 1–21 performed by COLIN NEWMAN and ROBERT GREY (drums, tracks 3, 4, 6, 7, 9–12, 14, 17, 19, 21). Tracks 1–4 recorded in West Norwood. Tracks 5–13 recorded in Chalford, Gloucestershire. Tracks 14–21 recorded in West Norwood. Track 22 performed by SIMON GILLHAM, CHARLES ARTHUR, TOM MORLEY, COLIN NEWMAN. Engineered by STEVE PARKER. Recorded and mixed at Scorpio Sound (London). Colin Newman - Where Was I?